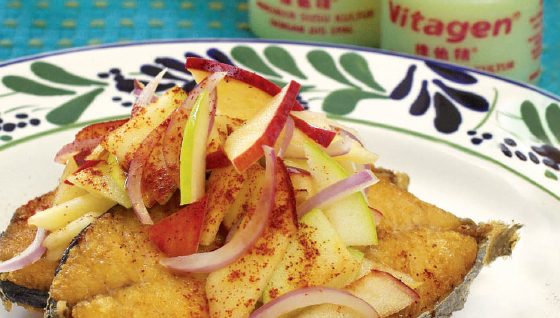 Discover delicious recipes using VITAGEN. 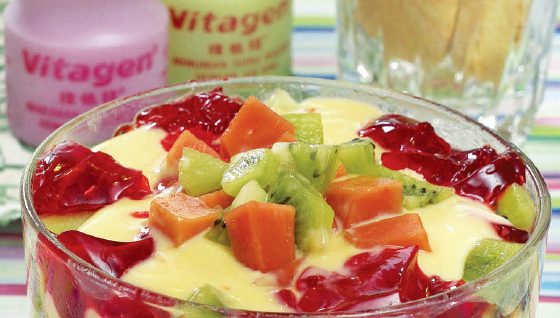 Make a dessert out of fruits, Italian finger biscuits and VITAGEN. 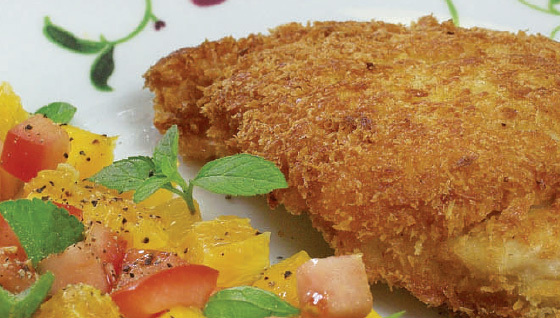 Enjoy our tangy take on pan-fried fish fillet. Fried Chicken Chop doesn’t only have to be an oily and greasy affair. 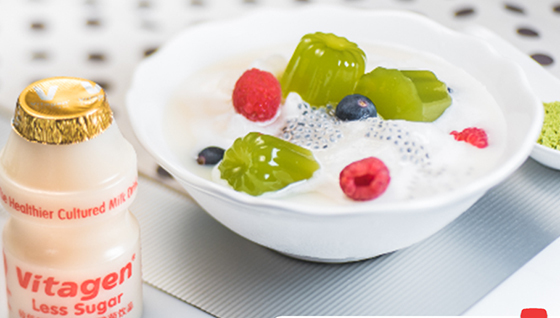 Top your Green Tea Jelly with a combination of berries and frozen VITAGEN Less Sugar. 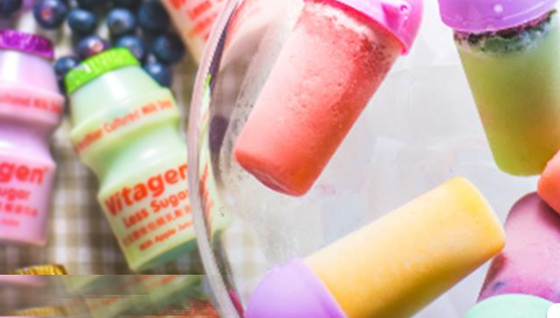 Enjoy VITAGEN Less Sugar in the form of an ice pop. Make a healthy shake out of bananas and VITAGEN Less Sugar. Who says VITAGEN can only be enjoyed as a drink? 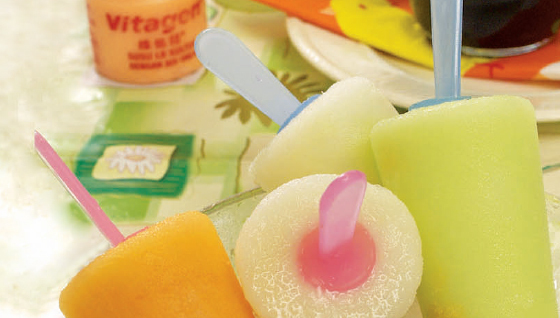 Enjoy VITAGEN in a whole new way by freezing it into an ice lolly.